Put on your blue suede shoes and get ready for a rocking' good time in Memphis, Tennessee. This city on the Mississippi River is the birthplace of Rock 'n' Roll and Piggly Wiggly grocery stores, and is sure to impress you with an endless list of fun and unique attractions, parks and first-class lodging. Music is the first thing many people think of when they picture Memphis. 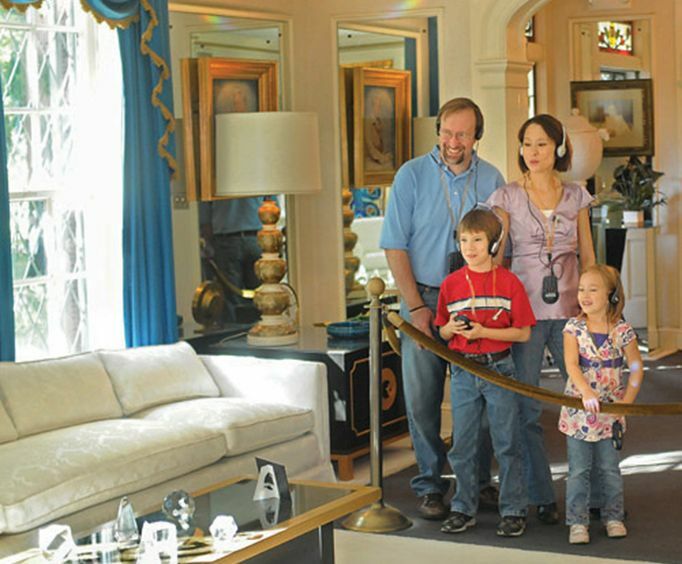 At Elvis Presley's 14-acre estate, visitors on the Graceland Platinum Tour immerse themselves in the world of "The King." 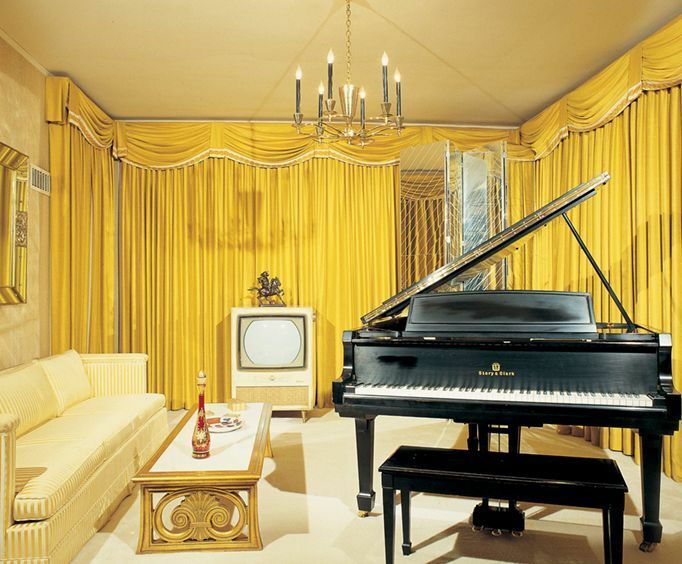 The tour includes 8 rooms in Elvis' residence, including the famous Jungle Room, and a look at his fleet of custom airplanes, cars and Harley Davidson Motorcycles. A second Memphis musical site is the Memphis Rock 'n' Soul Museum, housing interviews, photos and recordings of gospel, blues and rock by artists such as Otis Redding and Elvis. At Sun Studio, the "birthplace of Rock 'n' Roll," visitors are treated to a look at the microphone Elvis used when he made his very first recording in 1954. Other artists who have recorded at Sun Studio include Johnny Cash, B.B. King, Roy Orbison, Def Leppard and Tom Petty. After touring some of the historic musical sites in Memphis, take the Memphis Trolley down to famous Beale Street, a section of town lined with shops, art galleries, restaurants and elegant hotels. A visit at night provides a chance to duck into numerous night clubs and enjoy every type of music imaginable, and especially the jazz and blues that Memphis is famous for . While all ages love music, one place dedicated especially to children is the Children's Museum of Memphis. Here kids can complete arts and crafts projects, tour a model of huge human heart at the Growing Healthy exhibit, learn about firefighting and when to call 911 at the City Friends Exhibit, and at the Garage Exhibit, learn how cars are built and how to change a tire. Parents will delight in seeing their children have fun while making important educational discoveries in a colorful, interactive environment. In addition to the Children's Museum, Memphis offers an array of other family-oriented entertainment and attractions. Visit the Memphis Zoo, home of 3,000 animals, including two famous Giant Panda Bears. This zoo sponsors important conservation and research programs, and shares its knowledge about animals with visitors through chats with keepers and animal shows. Other family attractions in Memphis include the world's largest pyramid, the Pyramid Arena; the Memphis Queen Riverboat; the Memphis Pink Palace Museum complete with shrunken head and miniature hand-carved circus; and the Peabody Hotel, home of the famous parade of Peabody Ducks, who waddle on webbed feet through the hotel's Grand Lobby every day at 11 a.m. and 5 p.m.
To make your stay comfortable and convenient, Memphis offers thorough transportation and lodging options. The Main Street Trolley take visitors between attractions, including Beale Street and the Civil Rights Museum. With a wide variety of conveniently located hotels, Memphis will make you feel like you are right at home. If proximity to Graceland is your priority, book a room at the Comfort Inn Airport; for a room with views of the Mississippi River, right on the Trolley route, stay at the Comfort Inn of Downtown Memphis. By day or by night, in summer or in winter, the city of Memphis will cater to your every whim and fantasy. Treat all of your senses (and especially your ears!) to a trip to Memphis, the birthplace of Rock 'n' Roll. Great place. Very very interesting and enjoyable. I was overwhelmed with memphis. It is such a gentle walk through time with martin luther, beale's and the history of music. The peabody hotel of itself is timeless. Memphis for me was like van gough's iris'. It is the beauty of the iris captured within this timeless city. The walk from the civil rights museum to the arcade restaurant. Everything in memphis is so vital to those areas of humankind that are of importance such as music,food, equality and the opportunity to breathe fresh clean air as a free person. Thank you for such a beautiful experience.